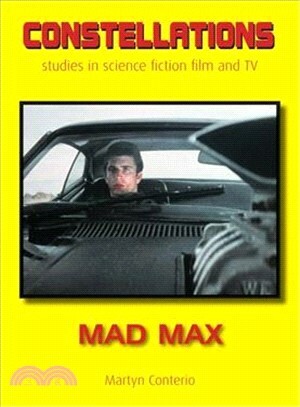 Mad Max (1979) is a freak picture. Too classy and well-crafted to be lumped in with low-budget Ozploitation titles, yet completely unlike other films made during the 1970s Australian New Wave, George Miller’s directorial debut is a singular piece of action cinema, one that had a major cultural impact and spawned a movie icon in Max Rockatansky (played by Mel Gibson). This monograph examines the film’s considerable formal qualities in detail, including Miller’s theory of cinema as “visual rock ‘n’ roll” and his marriage of classical Hollywood editing and Soviet-style montage. George Miller is arguably the single most important filmmaker in Australia’s history, bringing a commercial and artistic vision to the screen few of his compatriots have ever managed before or since. Taking in everything from the film’s extremely controversial critical reception to its legacy today via a string of sequels and the creation of an entire subgenre—postapocalyptic action—the book is for film students and fans alike. Martyn Conterio is an author and critic based in London. He is the author of Black Sunday in Auteur's Devil's Advocates series and writes for, among others, Little White Lies, Total Film, the British Film Institute, and the Guardian.